Achira a leading medical device research company has now been successfully recommended for ISO 13485 Certification by TUV. The entire journey started with gap analysis, preparation of documentation, preparation of the design file, review of the management system, internal audits, stage 1 and stage 2 audit by TUV. Risk assessment were carried out based on the special ISO standard for carrying out risk assessment for medical devices. Wish to know more about ISO 13485-2016 Consulting for medical devices, ISO 13485 Certification for medical device research center, production center, service center..do drop an email to SHAKTI@GQSINDIA.COM or call on 9845313910, 9741501910. What is new in ISO 13485 and how can GQS help ? Preparation of Medical device file. 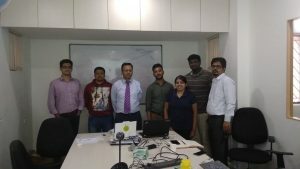 What softwares are required to be validated ? Call us to know more about ISO 13485 Consultancy, ISO 13485 Certification and guidelines to prepare Medical device file. 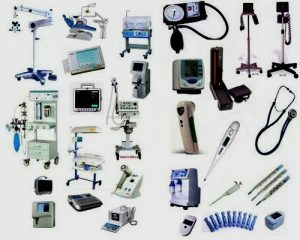 Most medical equipment manufacturing companies are guided by GQS consultants and ISO certification body regarding the requirements to be implemented and complied to. The statutory and regulatory requirements applicable for medical equipments have to be studied, reviewed and documented before the documentation kick starts. There are over 30 documented procedures and documents needed to roll out the same for implementation. For these 30 documented procedures, mandatory records over 40 have to be implemented by various departments. Clinical validation, Clean room validation, Advisory notices, Servicing instruction, Installation instruction, Technology handover post design, Risk assessment based on ISO 14971 covering all harms associated with the use of medical equipments have to be reviewed, documented and implemented. During Design of these medical equipments, it is important to understand if there are samples or information from patients used are controlled and complied as per the latest EU regulation against Data Protection. The articles and recitals of the 99 GDPR Articles have to be studied and complied.